Of course you will pack what ever food you like, but take a look at this...a picnic backpack. 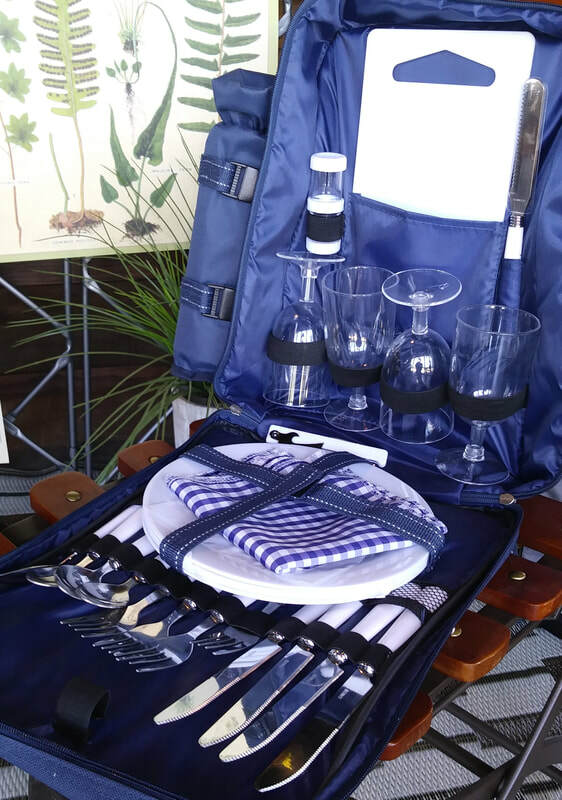 It has it all...settings for 4, a wine pouch cooler and an opener, a cutting board for your favorite cheeses and some summer sausage perhaps, salt and pepper...it's really ALL here. That sounds fun, let's go for a picnic. You will need a good blanket, one that is easy to carry, sturdy and big enough for the whole party. Nothing says all of the like Pendleton. Try this blanket (leather carry strap optional) on for size. It's made from their famous wool and measures 80 x 90 inches. This is the Crater Lake National Park blanket. 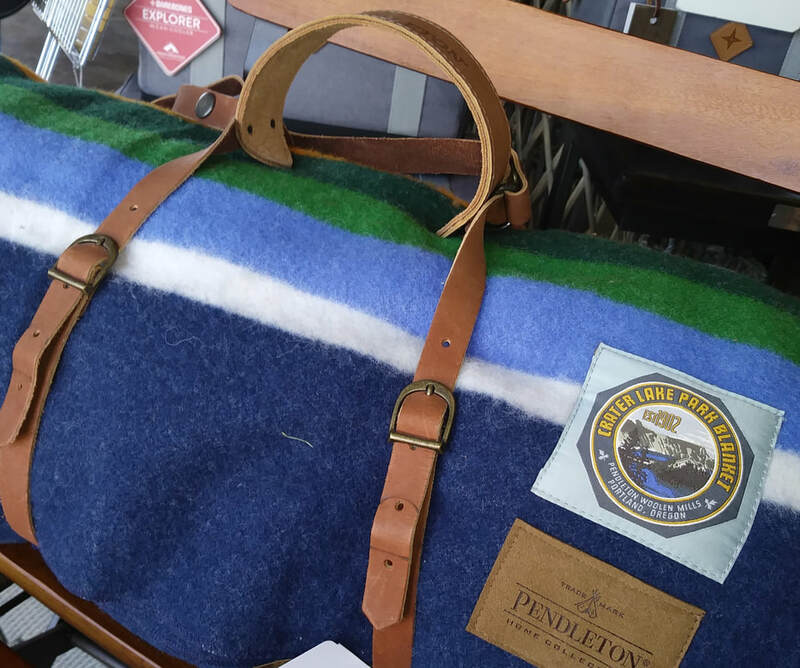 All blanket purchases help Pendleton support the National Parks Association. School will be out soon and summer has come on fast. Its time to get out into the wild and enjoy some relaxing family time. Camping is the prefect way to get outside, gather the family and enjoy some down time. We have some items that will make it easy for you to relax and hit the road! Coolers from Barebones are sturdy, attractive, and highly functional. The Porter cooler (bottom) holds 96 cans and has wheels like nice luggage. The leather details and rust resistant hardware make it the perfect choice for any trip. With added features like a removable liner, bottle opener zipper, wide mouth opening, and easy to clean fabric, who could resist. The Explorer cooler (middle) holds up to 36 12 oz. cans has a lot of the same features but also boasts a removable/adjustable shoulder strap. If you just need a small cooler to go...grab the Trekker (top). It holds 6 cans and has a magnetic closure...what could be easier. If you want to hike into the woods, try the Mavrick...it's a BACKPACK! A backpack that holds 50 12 oz. cans...who'd of thought?